My oped This Thanksgiving feed a silent guest and help build world peace is published today in newspapers. 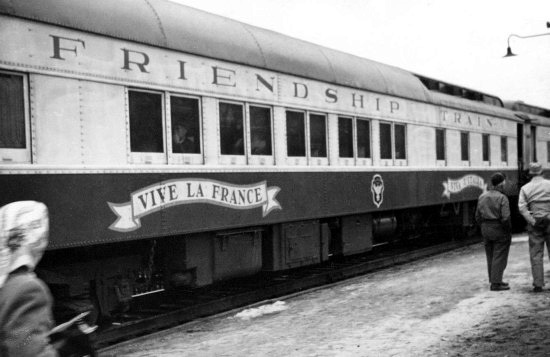 It features the famous Friendship Train that collected food for the hungry in Europe after World War II. There are nearly one billion hungry people worldwide. There is hunger in Africa, Asia, the Middle East and even hungry people even here in the United States. Please consider feeding a “silent guest” this Thanksgiving, one of the world’s hungry people. You can donate the cost to feed that “silent guest” to a charity fighting hunger. Here is a list of some hunger fighting agencies. Even a donation of one dollar can buy close to a week’s worth of meals for a child. Another way to help is to play the online game Free Rice. It’s free for you to play. 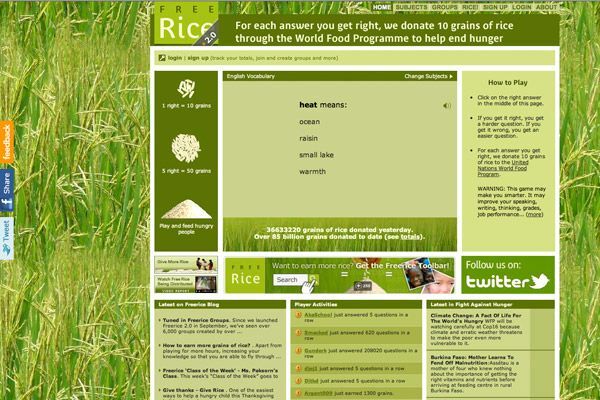 The donations of rice are paid for by advertisers on the site. The more you play the more you can help end world hunger! FreeRice has two goals: Provide education to everyone for free. Help end world hunger by providing rice to hungry people for free.